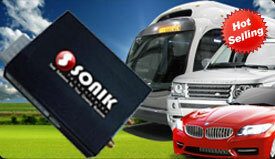 GPS Micro Tracking System by SonikTechnologies is one of the best solutions for security measures of your vehicle. A personal tracking system can allow you to monitor your vehicles and locate your family in an emergency. It can also notify you if the vehicle has been involved in an accident. Personal tracking can help you keep your teen driver accountable and it can give your family peace of mind. A gps tracking system can allow you to keep an eye on your aging parents. It can help you locate them if they get lost or in the case of an emergency. 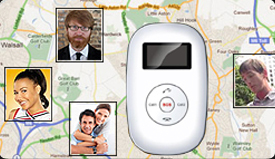 A GPS locator can give you an extra layer of protection and safety for your loved ones. The GPS and GSM modules as well as antennas are integrated inside the tracking unit case. Most other products have GPS & GSM antennas as external wires. These wires can be tampered or unscrewed easily which make it in-secure installation. You may find some products in the market that call themselves Personal Trackers. These devices are for personal security only. 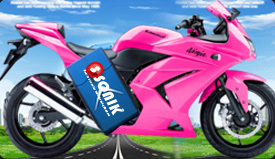 They do not have 24hrs Live GPRS connectivity capability and features related to Vehicle tracking. They are only for personal use and lack important features. 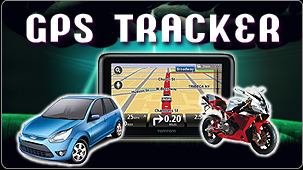 GPS tracker has inbuilt memory to save large number of logs like a GPS data logger. it can save upto 90000 logs in its memory. Though these logs can be only downloaded to PC. But in case you want to check the last 1 month path followed by the vehicle, you can download the logs and find the same. This allow the unit to be mounted in any position. it can automatically detect if the vehicle is stopped and will switch some functionalities off so that Battery life can be increased. It has simple switch that can put the device on/off. This prevent battery drainage when you do not need the device to function. So the user/driver can talk to control center who can call the device. Voice capability need that your SIM plan has Voice activated. Default SIM plans have Voice Deactivated. headphone is only for speakers and Mic in already inbuilt. Easy & Multiple Charging Methods. GPS Tracker support several charging methods on the go. You can charge it with its mains Charger that support universal 110-240VAC input meeting both Indian and international standards. Secondly it comes with Car charger to be charged in car easily while traveling. Supports simultaneous multiple case management.